Soros Fund Management just filed a 13G with the SEC regarding shares of Microstrategy (MSTR). Per portfolio activity on May 10th, George Soros' firm has disclosed a 5.67% ownership stake in MSTR with 454,595 shares. This marks a 34% increase in their position size. Back on March 31st, they owned only 338,384 shares. Per Google Finance, Microstrategy "is a worldwide provider of business intelligence software that enables companies to report, analyze and monitor the data stored across their enterprise." 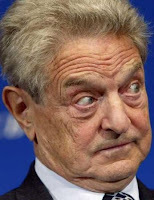 We just detailed George Soros' updated portfolio and you can view the rest of his investments in our new issue of Hedge Fund Wisdom that was just released yesterday.